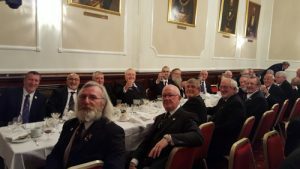 On Monday 12th December 2016, R W Bro. 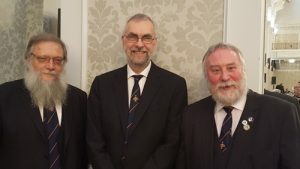 Gordon Craigs, the Provincial Grand Master (PGM) with the Brethren from the Province of Northumberland attended the Grand Stewards Lodge down in London and on the following day, they attended the Annual Meeting of the Royal Arch Mariners (RAM). The first photograph shows the table full of our own Brethren at the festive board. 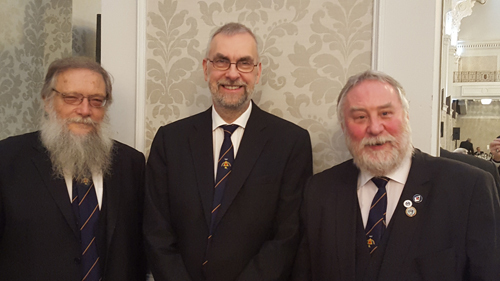 The second one shows the PGM with W Bros. Paul Hilditch and Reece Valentine who both received RAM Grand Rank on Tuesday 13th December 2016. At the Annual Meeting of Provincial Grand Lodge of Northumberland on Wednesday 30th November 2016, R W Bro. 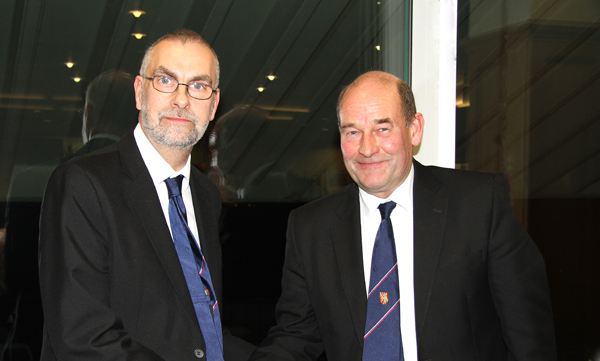 Gordon Craigs, the Provincial Grand Master (PGM) of Northumberland Mark Master Masons presented R W Bro. John James Craigs, PGM of Northumberland with a cheque of £2,000 from the Northumberland Mark Benevolent Fund for the Northumberland Masonic Charity Association (NMCA) towards the 2020 Festival. It was gratefully received and acknowledged by R W PGM on behalf of NMCA. The 2016 Annual Report for Provincial Grand Mark Lodge is now available. To view it, click here.